In the coaching field, it’s easy to convince ourselves that more education is the catalyst for behavior change in our clients. There’s no doubt that it helps, but it’s not enough to tip the balance towards people actually acting on it and making lasting behavior changes. Today, we talk with Ken Kraybill, an expert with over 30 years’ experience in motivational interviewing. We discuss the importance of motivational interviewing, how it’s being applied today, and why every coach can benefit from learning this collaborative style to help guide their conversations and strengthen their clients’ already existing motivation. t3 – Training for organizations, city, counties, and statewide organizations, promoting best practices in working with people who are vulnerable or marginalized in our society. Chris Kresser: Ken, thank you so much for being here. I’ve been really looking forward to this interview. Ken Kraybill: You are most welcome. I’m happy to join you. 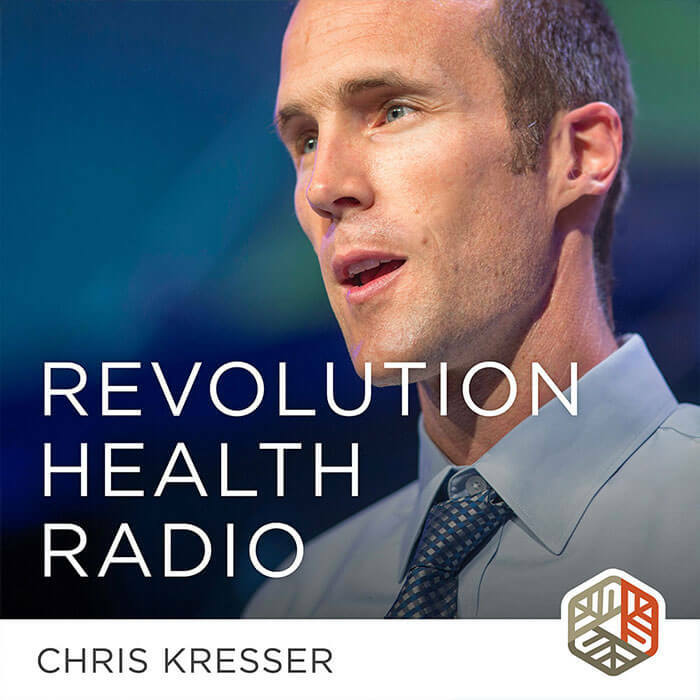 Chris Kresser: So, something I’ve been saying quite a bit lately and maybe to the point where people are tired of hearing it, but I really want to get this message across is that information is not enough to support behavior change. We know that only 6 percent of Americans engage in the top five health behaviors. Things like maintaining a healthy weight, not smoking, not drinking too much, getting enough exercise, and getting enough sleep. And it’s not really because they don’t know that those things are healthy. It really comes down to not being able to successfully change their behavior. And I’ve often said that if information was enough, then Google would solve chronic disease. And so this is why I’ve been really looking forward to talking to you as an expert in motivational interviewing, because I think a lot of people who go into health coaching or become a nutritionist or go into medicine may have the idea that if they just tweak the information that they’re delivering just so, or maybe learn new information that they can get across to their patients or clients, then that will somehow do the trick. But what’s the problem with that kind of thinking? Only 6 percent of Americans engage in the top five health behaviors—not because they lack the knowledge, but because they’re unable to successfully change their behavior. Learn how to encourage lasting behavior changes with motivational interviewing. Ken Kraybill: Yeah, your comments remind me of a quote that I heard from Bill Fordyce at one point, who was out of the University of Washington, who said that patient education is to behavior change as spaghetti is to a brick wall. Chris Kresser: Yeah, I love that. That really gets to the heart of it. Ken Kraybill: And I suppose if the spaghetti has been cooked, maybe it will stick a little bit. But generally speaking, it doesn’t stick. And I think that’s just one of those things that we in all fields have convinced ourselves, that somehow it’s education that creates behavior change. And there’s no doubt that it helps. Knowing more about something is helpful. But it’s not quite enough to tip the balance towards people actually acting on it. And when you just mentioned those five health behaviors, I realized I’m not in the 6 percent, I’m in the 94 percent. But yeah, it’s one of those things that it turns out that motivation itself to change is actually fairly complex. It has different facets to it. And so education, knowing something about something is helpful and important, but not enough. Chris Kresser: So why is that, do you think? I mean, most people do probably understand that getting enough sleep and getting enough exercise is important to their health. I mean, we see headlines every day in the news about that. And what is this conflict about? Why is it that it’s so difficult to change? Ken Kraybill: Yeah. I think part of it is the dynamic of how the information comes to us. It’s often coming to us from an expert of some sort, whether it’s in writing or spoken. And there’s something about human nature, which I think is healthy, actually, that pushes back when somebody tells us what we ought to do. So I think there’s that at play. I also think what’s happening is that there are other parts to readying ourselves and then taking action that have to be fulfilled. And that includes being clear to ourselves what are the reasons why we would want to exercise one of those behaviors and practice it more consistently. Another might be how to go about it because each of us has unique ways to go about making changes that we want to make. Another might be how important is it to us. It might be that we have a lot going on in our lives and it’s important at some level, but not so important that we give it priority. Ken Kraybill: It’s also confidence. Confidence is a huge part of this. And so all of those things kind of conspire together, if you will, to determine whether we actually take action. Chris Kresser: And it seems to me, I know this is part of the idea of resolving ambivalence in motivational interviewing, which maybe we’ll get to. But a kind of lightbulb for me when I was learning about this several years ago was that we often have good reasons for not changing as well. Ken Kraybill: Exactly. I think right in this very moment you and I and anyone listening is ambivalent about something. We have mixed feelings about things. Sometimes it’s about something that’s not all that important, like what am I going to have to eat tonight? Shall I eat Mexican or shall I eat Thai fusion? And sometimes it’s about things that are such deep, dark issues in our lives that we barely want to go there. And so we avoid that. But a lot of the things are around like these health behaviors that you mentioned, as well as attitudes. And so there are many, many things about which we have mixed feelings. Chris Kresser: Yeah, an example of that, we had a picnic with some friends last night and mothers and fathers of relatively young kids—our daughter is six, going to be seven soon—and some of the moms were talking about how they are just not getting enough sleep. And they really know they should get to bed earlier, but once they get their kids down to bed, those evening hours are one of the few times they have during the day to do things for themselves, whether it’s to get some work done or read a book or do something pleasurable. And so to me that was a really good example of where it’s not so simple. They know getting to bed earlier is good for their health, but then there are other needs they’re trying to meet as well. Ken Kraybill: Yeah, that’s right. Our needs don’t stand in isolation. We have competing needs, or at least co-existing needs. And so which do we give attention to? I often think when I approach a dessert table, you’ll either see people, or sometimes it’s myself, I’ll say something like, “I really shouldn’t, but …” And then of course you decide whether or not you’ll have that dessert or you won’t. And that’s just, the ambivalence is in the air. It’s everywhere. Ken Kraybill: A very natural, normal part of human existence. And it’s not a problem per se, unless we get stuck in it for a long, long time and it starts to really decrease the quality of our lives in some way. Chris Kresser: Right. And that voice of “should” and “shouldn’t” gets back to what you said about how most of us resist being told what to do. And whether it’s by somebody outside, some authority figure in our life, or that authority figure voice in our head that we’ve internalized. There’s some famous family lore in my family about how when I was four years old, my mom asked me to do something, and I said, “Mom, you’re not the boss of me. I’m the boss of me.” The classic four- or five-year-old comment, and like I said, I now have a six-year-old, and I’m seeing this dynamic play out in a multigenerational way. So what goes around comes around, as they say. Yeah, and I see it really clearly. There’s something, I’m not sure what it is, but something I think deeply conditioned in us, or it’s maybe even biological, where we resist being changed by someone else or we resist being told what to do. Ken Kraybill: Yeah, I think, I mean, there are probably many explanations for it, but I think it is built in biologically, and I think that being able to resist things is a self-protective measure. Ken Kraybill: And you certainly hope that folks will resist not looking both ways before you cross the street or you’ll resist drinking too much, or whatever. But resistance in and of itself is not a bad thing. It can be protective and it can also be problematic. But I think, I mean, I love your examples of yourself and your six-year-old, and I have some grandkids in that age range too. And I always think when I hear that “no” or that pushback, I think, “Wow, that’s great. They’re learning to think for themselves, they’re standing up for themselves,” and that’s, I think, both much better for the future than someone who is just totally compliant all the time. That scares me a bit when I see that. For me just getting, in my own life at least, getting clear on that was really helpful, because it allowed me to move beyond that guilt-blame-shame kind of dynamic that can so often arise when we’re not following through on something that we want to do to, just coming up with strategies that might help me to meet all of those different needs. Ken Kraybill: And it’s always best for us to work that out for ourselves. Of course, doing some with someone who is able to help us look at it and shine a light on it is helpful. But just thinking of that example, and imagine that I were to come in and say, “Hey, Chris, you really have to get that project done. You’ve got to do that. You’ve got to stay up and do that.” You’re likely to want to just go to bed. Ken Kraybill: But it’s a perverse way of motivating people to try to push in that direction, and it’s also why we’ve got some research when, for instance, somebody is a heavy drinker and medical professionals and friends and family have said over and over and over again, “You’ve got to stop drinking. You’ve got to stop drinking.” What will happen is they’ll continue drinking, but not only that, they’ll actually go out and drink even more than they had been drinking. Chris Kresser: That four-year-old voice is still there. So this is probably a good segue. We’ve already, of course, been talking about some key concepts of motivational interviewing, but I think a lot of my listeners are probably not familiar with motivational interviewing. So maybe we could back up and just, from a 30,000-foot view, what is MI, motivational interviewing? Which we’ll refer to as MI now so that we don’t have to say that over and over. And maybe tell us briefly about the history of MI, where it got its start, and how it’s being applied today. Chris Kresser: Heart attack, heart attack. Yeah. Ken Kraybill: Or people from the state of Michigan hear their own state. Yeah, so there are many ways to describe MI. One of my favorites comes from Stephen Rollnick, who has co-authored a lot of these books with William Miller, who basically says this about practicing kindness with skill. And particularly in the context of having a conversation with people about change. How do we practice kindness with that person but in a skillful way? So that’s one way to think about it. I also like to just basically think of it as it’s a way of talking with people about change related to things that we’ve got mixed feelings about. And that can be all manner of things, many of which you mentioned, exercise, diet, alcohol or other drug use, risky sexual behaviors, school- or job-related concerns, spiritual practices, and the list goes on. 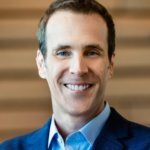 Ken Kraybill: The by-the-book definition is something along the lines of a collaborative conversation style for strengthening a person’s own motivation and commitment to change. And I put emphasis on “style” because I think what happens oftentimes is people hear about motivational interviewing, and sometimes it gets packaged in a way that’s meant to be bought and sold, if you will. Ken Kraybill: And it gets narrowed down to this formulaic way of talking with people, and that’s kind of MI, but it’s really not because it’s a very relationship-based way of communicating that has a lot of heart and soul to it. But it also has a skillfulness around how do you guide that conversation to strengthen the person’s already existing motivation. So that’s another piece of that definition that kind of defies our own typical way of thinking about things. Because we so often, we think about motivational speakers, we think about needing to motivate somebody or get them to do something. And as soon as we fall into that line of thinking, we’ve actually, we become controllers and we become, I even go so far as to say it’s an exercise in practicing violence, or at least violating people’s own self-determination and own ability to think for themselves and decide for themselves. So yeah, collaborative conversation, it’s a partnering kind of way. So there are two people in the room, at least two people, and both of them have expertise in particular areas. And so that’s another way of thinking about that piece of it as well. There is a nice sort of elevator definition that I like too and it basically is helping people talk themselves into changing. Chris Kresser: Yeah, I like that one a lot. It just gets right to the heart of it. Ken Kraybill: But as you can hear in that, the necessary mindset and shift is that you have to let go of your own sense of urgency or need to get the person to change. Ken Kraybill: And instead trust the fact that the person already has pretty much everything they need with them then to make that decision for themselves. And then we help them, we shine a light on it. Help them articulate it and help them share it in new and fuller ways and have a deeper conversation with themselves about that. Chris Kresser: So I know I asked you to talk about the history, and I still would like to hear a little bit about that. But I just want to pause and hone in on this a little bit because to me, this is one of the key concepts for everybody to understand about not only motivational interviewing as an approach or methodology, but about change in general. This idea of people talking themselves into change rather than some external authority figure being the motivating factor for change is really crucial and in some ways radical. Because it really, it goes against most of what we’ve experienced in our lives. Most of us grew up being either told what to do or advised what to do by our parents, then our teachers, also they’re giving us direction about what we should and shouldn’t do, and then maybe we had sports coaches that were doing the same thing. And then maybe we get a job and we have supervisors or bosses that are also operating from that more kind of conventional framework. And I think this idea is actually pretty unconventional and maybe not what people have experienced. So I’d like to dive into it a little bit more. Several years ago I read books by Alfie Kohn and others that talk about the difference between intrinsic and extrinsic motivation. Intrinsic motivation, meaning coming from within, and extrinsic, meaning coming from without. How does that dovetail with what we’re talking about here? Ken Kraybill: Yeah, it’s very, very much apropos. I think, just to be clear, it is possible to get somebody to do something different for a time, but it doesn’t produce change, at least in terms of a change that’s likely to persist. What it often produces is conformity, which we often mistake for change, I think. And there’s probably a place for that, but if we’re really looking for somebody to be able to not only make the change, but then sustain it—because that’s really the difficulty for many of us, it’s not that we can’t make that first step, it’s the second and third and fourth steps that become more difficult—and that’s when intrinsic motivation, or internal motivation, is going to be the major player to make that happen. And that’s when the spaghetti sticks, is internal. I’m not sure if that metaphor works anymore. Chris Kresser: No it makes sense, it makes sense. Ken Kraybill: So I think about situations where you might have somebody in a hospital setting, or some kind of a setting. You get them to take their medicine or get them to do their rehab, but are they going to do it when they walk out of that? Because most of us live our lives without somebody directly there sort of directing us. And so we become our self-directors. So we talk in medicine, of course, about self-management, and that’s actually something I’ll just bring up here. I think we need to recognize that there is a time to be very directive and to assess and treat, and certainly in acute care medicine of all sorts, that’s totally appropriate. Because the one party doesn’t have the expertise needed to fully participate. But when it comes to more long-term conditions that we all live with, and diet and exercise of course are classic to that, but it’s going to have to do with attitudes, it’s going to have to do with other kinds of things, then we need to determine a way, a pathway forward that every morning we wake up, we return to that and say yeah, this is still important to me, I have reasons to do it, and I’m going to do it, even though I don’t feel like doing it. And that’s where we’re talking about intrinsic change that makes a difference. Chris Kresser: So let’s talk a little bit about how MI got started and some of the research that that supports it in various contexts, because there is quite a bit of research behind it, isn’t there? Ken Kraybill: Yeah, it’s a very well-researched approach, and I read recently that the research articles that come out … at least, or at least, articles, not all research articles, pretty much doubles every three years around MI. Ken Kraybill: But the start is interesting and there’s a wonderful YouTube clip of William Miller describing how he got into MI, how he got to thinking about it and then how his thinking has evolved over time. That was a lecture at the University of Chicago he gave a few years ago, but he tells the story as a psychologist who really did not have much training, if at all, around addictions when he was going through school ended up in, I think it was just an alcohol treatment center, an inpatient alcohol treatment center in Milwaukee, Wisconsin. And this is like 30, 40 years ago or more. And he tells the story that he hadn’t really been told what to do, and when he arrived there, nobody gave him any particular direction. So he decided to just do what came naturally to him. And he sat down and began to talk with some of these people who lived there or were staying there, and of course, being from Wisconsin, stereotypically they all ate cheese and loved their Green Bay Packers. But the truth of the matter was that he found out that these were really interesting—I think it was all men—people who have had jobs, who had families, who loved to go fishing, loved to do all kinds of things, and they had a really serious issue with alcohol use. And so William Miller then says he made the “mistake” of going and reading the literature about alcoholics and alcoholism. And in that day and time, the best practice or the best understanding was that these were folks, and the literature would say very explicitly that they were pathological liars, they were people who were not morally centered, that they were people who … and psychologically they had this denial, this wall of denial, this defense construct that almost made it so they couldn’t recognize the fact that they had this issue and the consequences of it. And that’s why people would say, “I don’t have an alcohol problem.” But what was happening is in order to confront and tear down that wall of denial so that magically somehow people would be ready and willing to make changes. To get rid of a wall, you have to practice a lot of coercive kinds of things with it. And so you punch it and kick it and confront it, and you shame it, and that’s exactly what treatment programs in so-called therapeutic communities looked like in the ’60s, ’70s, ’80s of the last century, and even persisting today, still, some. This idea where people would sit in the middle and be confronted and bombarded by their colleagues or their fellow patients and residents, you heard stories of people having to wear placards that were shame-based or having to wear an adult diaper in the milieu if they broke a rule. I mean all these crazy things that today we wouldn’t even consider using for anyone, especially with any other kind of concern, like depression or schizophrenia. Ken Kraybill: So anyway out of that, William Miller, I think, probably both figuratively and literally scratched his head and said, “There has to be a better way.” And it was really out of that experience that he began to develop, based on the work of Carl Rogers, Daryl Bem, and others, this notion that basically alcoholic people with serious alcohol problems aren’t all that different from anybody else. And I think that was the key issue of the day that somehow these folks are different and they need to be blasted at. And I think that was the breakthrough, was recognizing these are folks who live with an alcohol problem in this case, but have a life and have the ability to choose and have values and hopes and dreams and that kind of thing. Chris Kresser: So what kind of, I mean, it got started in the addiction arena, and it’s still very much used, from my understanding, in that arena, but what other contexts has MI spread out into at this point? Ken Kraybill: MI has permeated pretty much all of health and human services at this point, and corrections, and schools, and the reason being is, and I want to just add here that William Miller has said that he kind of regrets having called it motivational interviewing. He kind of wishes he had just called it motivational conversations. Ken Kraybill: And I bring that up because in all walks of our lives, even at home with your own children, we’re constantly having conversations with folks in the hopes that they’ll make changes, and to do so, what we want to do is have conversations that will make a difference. And if we know that conversations that simply tell people what to do, or confront them or shame them, if we know that’s not effective, then what do we do? And so it was really in that context that Miller, and then others that followed and all the research that has followed too, has shown that what we know about motivation is it’s multifaceted, that it’s relationship-based, often for most people, that we need to pay particular attention to certain things that people say and shine a light on those, we need to pay attention to ambivalence. And so ambivalence has been the construct that has replaced the notion of the denial. And ambivalence seems to be a much more both accessible way of thinking about it, but also much more accurate. Chris Kresser: More accurate, yeah. So what are some of the other … we’ve already touched on a few of the key concepts of motivational interviewing—ambivalence, and talking to people, facilitating people to talk themselves into change instead of talking them into change yourself. But what are some of the other key concepts that form the foundation of MI? And this is really the piece that I think that appeals to so many people because it’s getting to that kindness part, right? And they talk about it in terms of four elements of the spirit. One is that notion of partnership, which in and of itself is a pretty radical concept in the field of social services and healthcare services because we’re so driven by expert-driven services, but looking at partnering with people and sharing expertise. And then there’s the idea of acceptance. And acceptance gets broken down into valuing people’s intrinsic worth and potential. It also includes that notion of responding to people empathically, seeing their strengths and honoring their self-determination. That’s all part of that acceptance construct, as they describe it. And then a third of these is compassion, and it’s interesting, it was not until the third edition in 2013 that Miller and Rollnick added this because they felt there was a component piece missing. And compassion here can be thought of in many ways. It’s clearly putting the needs of the individual first and looking out for their welfare. I think it’s also feasible to think about compassion as taking the word itself. And “compassion,” surprisingly to some people, certainly it was to myself, it means “suffering.” And so to be with somebody in their suffering, their addiction, and their issues around eating, whatever those things are to walk alongside people in solidarity with them in that difficulty without trying to fix it is a form of compassion that I think is very powerful. And then there was the fourth, and so we have so far, we have partnership, we have acceptance, we have compassion, and then the fourth, I think, really gets to the heart of the MI process, and that’s evocation. And evocation literally means “to call forth from,” like drawing water from the well, for example. And so if we see people as already having essentially everything they need and they’re filled with hopes and hurts, they’re filled with wisdom and also delusion. But we’re all filled with all of these things, right? And so what if we tap into the best parts of what people have, and tap into their hopes, tap into their dreams, tap into what they want in life, what’s most important in life to them. And allow them to articulate that and then hear it back through maybe our reflections to them, and then they continue to talk to themselves about it. There’s something very powerful about that, which will lead us into the skill sets of reflective listening and asking questions. So there’s that spirit. Another piece is these core interviewing skills, which we commonly refer to as the OARS, as an acronym [which stands for open-ended questions, affirmation, reflective listening, and summary]. It turns out that motivational interviewing, the field loves acronyms. So the OARS are representative of open questions, that is, questions that really invite people to tell the backstory or just tell more detail of affirmations, which is a specific way of seeing in people, what I like to say, all the good stuff in them, or being strengths based. We also talk about reflective listening, which really is at the heart of this approach. And I’m fond of saying these days that if the OARS were a rock-and-roll band that the reflections would be the lead singer. And I recognize that my rock-and-roll band has four players, and it’s kind of like based on the Beatles. But the reflections, if I were to audiotape practice of anybody involved in counseling who doesn’t have training in MI, the research suggests that people are probably asked about 10 questions to every one reflective statement. And in motivational interviewing, we’re actually trying to flip that on its head. And proficient MI is often like two reflective statements to every question, or three to every question, and it’s great if you do one to one. But the idea is there’s something about reflective statements that they kind of go with the flow of the conversation without being interruptive, and they help build upon what the person has said in a way that has a certain kind of congruity to it and a certain incrementalism to it. Whereas questions, as helpful as they are and can be at times, are actually more interruptive in the dynamics of conversation. And so it’s not that we don’t use them, but they actually insert something from us usually that takes things in a slightly different direction. So that’s, it’s a subtle thing, but that’s partly the rationale for looking for more reflective statements to questions. And then the last of those OARS is the S is for summaries, which is really just a collection of reflective statements that you offer back to the person by saying, “So can we take a short break here? And let me just see if I’m getting so far what you’ve told me. You mentioned this and that, and this.” And then you ask, “So what did I miss? Or what do you make of that? Or what would you add to that?” So that’s another one. Now I mentioned OARS as being the sort of rock-and-roll band, but there actually is a fifth sometimes we think about, and that is how do we provide or exchange information, if you will, or offer our own input, our suggestions, our advice, if you will, or additional information. And that’s yet another kind of fifth skill that is considered an important part of this too. Because there are two experts in the room, then you do get to offer some things sometimes. But we almost always do that later in the conversation and do it with permission. Seeking permission to offer it and then giving permission to do with it what they will. Chris Kresser: That’s the key point here, especially in our ADAPT Health Coach Training Program, because people will be coming to the health coach for advice on certain things related to nutrition and stress management, sleep, physical activity, etc. But the key thing that you pointed out there is that you ask for explicit permission to move into that role, or you wait until you’re asked to move into that role rather than starting from that place. And that to me is the most important shift that we can make in the idea of what a health coach is supposed to be doing, because I think still today in a lot of contexts the idea is that a health coach is just operating from the same expert authority model that a doctor or another licensed clinician would be operating from. But rather than giving medical advice, they’re giving advice on diet and lifestyle. And the problem with that from my perspective, is, quite simply, it just doesn’t work. I mean there’s that definition of insanity, which is doing the same thing over and over and expecting a different result. And it’s certainly true that, or it may be true that, changing our nutritional guidelines so that they’re more current, more in alignment with the current evidence might help more people to be able to adopt them. But I think it’s a pretty overly optimistic view to assume that just shifting the nutritional guidelines, for example, is going to really make that much of a dent in preventing and reversing chronic disease. Because we know that very few people have followed any nutritional guidelines that have been issued ever, regardless of what they are. And so moving toward this approach where we’re were changing the way we’re having these conversations instead of focusing so much on the content of the conversation, to me, is where the real revolution needs to happen. Ken Kraybill: I would agree and I think that again, it goes back to knowledge can be helpful and particularly for people who are ready, quite motivated that it can be very helpful, which is why a lot of people do in fact change on their own and do fine. But it’s that person who comes in feeling mixed about whether or not to do something that we want to really look at. Chris Kresser: Right, and on that note, I’m wondering if you’d be up for a little bit of a role-play. Because so far we’ve been reviewing a lot of the different concepts in MI, how they might work, and I think what would be really helpful for listeners is to get an actual sense of how this might play out in a conversation. And if you’re willing, I would love to start with a conversation that’s maybe, we could say, more conventional or typical, and not using MI or the concepts of MI. Let’s say I’ve just been to my doctor and I was diagnosed with prediabetes. So I’m headed towards type 2 diabetes, and I’ve got a history of it in my family and I know I should be changing my diet, but I just can’t. I stop and start. I can’t do it. I feel kind of shame and blaming myself, but at the same time, I’m resistant to making that change. And maybe we can start with a conventional conversation and then we can pause and shift into what an MI conversation might look like in that scenario. Ken Kraybill: Sure. So I understand, Chris, that you just recently saw your doctor and that you have this prediabetes condition, and your physician has really focused on suggesting you make changes in your diet. Would it be all right with you, oh, I’m slipping into MI, I’m sorry. Ken Kraybill: Yeah. Well, I know you can do this, Chris. Other people have done it and I know that if you just do what I tell you to do here, that you will be able to just stay with it, and I think you’ll feel much more satisfied and you can avoid all those negative consequences. So what I want to do is just to go through, I have a handout here, and I just want to go through these different kinds of diet choices that you can make. We can talk about when you go grocery shopping, you really should avoid going to certain aisles entirely, and certainly the dessert aisle, and just you need to go when you’ve eaten. And just choose the things on this list, and then when you get home, you need to make a plan, you need to create a plan for what you’re going to make each day so that you’re not tempted to do other things and you just stick with that plan. And I will give you that plan so that you can know exactly how to pursue that. And then there are other things we can do too, but let’s start with that. How’s that? Chris Kresser: Well, I mean, I’ve tried some of that stuff before. I actually, I worked with a nutritionist, and she made me a plan, and it did work for a little bit. But then I just, I get something comes up at work, I get really stressed out, I get busy, and then I grab something at the cafeteria because I just don’t have time to get home and do the shopping and get my food and make these meals. Ken Kraybill: Yeah, you just can’t do that. You just have to learn to say no to those impulses you have. I think that, well, have you tried maybe, sometimes people do these little tricks where they remind themselves of something they want to do by putting a rubber band around their wrist and snapping it when they have an impulse to do something. I mean, have you tried that, for example? I think that would work. Chris Kresser: No, I haven’t tried that. I don’t know. Okay, we can pause here. That’s really uncomfortable. I think it’s probably uncomfortable for you as well, Ken. Ken Kraybill: I’m not having fun. Chris Kresser: Not the typical way that you interact with your clients. Ken Kraybill: I’m not saying I never used to do that. Chris Kresser: Right, yeah. And I just noticed myself just the walls coming up almost immediately and just feeling resistance, feeling kind of hopeless, like this is not going to change. I’ve done all these things before. Not feeling confident that it’s going to be any different. I just felt sort of no sense of possibility for shift or movement there. Ken Kraybill: And on my part, I was uncomfortable because I was having to do all the work, basically coming up with solutions for you. And I had to make it up on the fly. Although in real context, I’d probably have sort of a rote list of things that I tell everybody over and over again. But it takes the joy and then takes the partnership out of it, and I felt like I was just grabbing at straws and telling you to do stuff that I didn’t really know if it would work or not. And I tried to convince you more, but that didn’t seem useful. So anyway, yeah, it was unpleasant. Chris Kresser: Okay, all right, well, we’ll start again and this time with the MI-inspired dialogue. So Ken, I just got back from my doctor’s annual checkup and was really disappointed to learn that I have prediabetes. And my doctor thinks that if I don’t make some significant changes to my diet and getting more exercise that I’m going to end up with type 2 diabetes. And this is really concerning to me because my mother died of complications related to diabetes, it’s all over my family, and I know I should get on the ball here and change my diet and start exercising more regularly, but I start and I stop, I can’t seem to stick with it and I just feel really frustrated. Ken Kraybill: So that news was both surprising and pretty scary. Chris Kresser: Yeah, I mean, my mom died when she was 60 and I’m 48, so that’s not very far away. And I don’t want to end up like her, and I’m hoping to have some grandkids, and I would love to see them grow up. I’m not ready to lose my health and vitality here. Ken Kraybill: So you certainly have some reasons why you’d want to make this more important in your life to pay attention to. Chris Kresser: Yeah, I mean, apart from wanting to see my grandkids grow up, I want to feel good. I know that the way I’m eating now is … and I’m gaining more weight, and that’s causing … I just got a knee injury that the doctor thought was related to me being overweight. I’m not able to exercise as much as I know I should, so it’s all connected. It feels like this kind of really messy thing where I just can’t, everything’s kind of working against me. Ken Kraybill: So you mentioned wanting to live longer for your grandkids, you want to feel better overall, you want to exercise more. You want your knee to feel more friendly towards you. Any other reasons why you would want to pay more attention and become more proactive in looking at your diet? Chris Kresser: Yeah, I mean, I just, I’m so tired a lot of time and it affects my work, it affects my relationship. And then it seems like it also affects even my ability to do the things that I know I should do. So but, if I had more energy, I think I would be able to have more fun again. I’m just not doing, I used to love to go dancing a few times a week, and I’m just not able to do that because I’m so tired. And even on the weekends when I want to be out maybe going to the beach or doing something fun, I just end up staying home because I’m so exhausted. Ken Kraybill: So this is really impacting your life at a lot of different levels. Ken Kraybill: When you think about the possibility of whatever it would be that you would not only help your understanding and concern, but also your activity around paying more attention to this, what are some kinds of ways do you think you could go about doing that that would be successful for you? Chris Kresser: Well, I mean, one thing that came right to mind when you were saying that is just maybe getting a little bit more support. I feel sometimes like when I try to start a healthy diet that I’m just kind of on my own and I’m isolated, and I don’t have, my partner’s not very supportive, and I don’t have anyone in my life that’s really able to just support me in making these changes. And I feel like that would make a big difference. Ken Kraybill: So having somebody who’s both aware of what you’re trying to do and who has your back, so to speak, and you recognize that it’s harder to do alone. So you’d like to have somebody who’s kind of in your camp and working alongside you. Chris Kresser: Yeah, because it’s a lot. I mean, I’m working full time, and so like having to go and do the shopping and prepare the meals, and that’s often where I get stuck. I’m tired and I end up just going and getting some fast food instead of doing the shopping and making the meals. Ken Kraybill: And underneath that I almost hear like it often feels like a burden to do all this stuff. Like it’s a long to-do list, and you’d like to incorporate it into your life in a way that was almost fun or at least enjoyable. Chris Kresser: Yeah, yeah, absolutely. I mean, it’s, otherwise, it’s just another thing to do, and as I said, I’m already feeling pretty exhausted. Ken Kraybill: What other things do you think about that would be helpful to you in moving in this direction? Chris Kresser: I don’t know. I think just really believing that it’s going to be different this time. Like I notice when I think about making a change, I just kind of feel hopeless, because I’ve tried so many times in the past and it hasn’t worked. And I think that might be something that keeps me from trying again. Ken Kraybill: So you have reasons to change and you have some ideas about how you would go about it, but this notion of believing that you can actually or would be capable of continuing to do it, or the confidence factor, seems to be pretty low right now, at least for you. Chris Kresser: Yeah, I think part of it is this, like in the past I’ve just done this low-fat diet that the doctor recommended, and it really just doesn’t seem to work for me. I feel hungry all the time and I just can’t stick with it at all. And I have a friend that’s been trying a lower carbohydrate diet and having a lot of success with that, so I’ve kind of wondered if that might be something that I should try or look into. I don’t know, do you have any experience with that? Ken Kraybill: Yeah, there are certainly ideas I could suggest to you around that, and what I’m hearing from you is that you’ve kind of tried in the past, but maybe you haven’t been able to try things that maybe have a little more variety to them or are a little more appealing to you. And then you’ve kind of just given up on them. So you’re kind of seeking ideas for how to make your diet more, shall we say, interesting and inviting. Chris Kresser: And satisfying. Yeah, I do think that could make a difference. I mean, I know my friend was in the same boat. She’d done the same kind of low-fat thing and when she tried the low-carb diet, she just said she felt so much more satisfied. And so I think I would like to try that if you have some resources you could help me with. Ken Kraybill: Yeah, no, I would be happy to do that. One of the things I’m touched by as I’m listening to you is that you talked about all these different things that you want to be healthy for in order to experience. Everything from grandkids to dancing. And what I’m hearing in this is it’s not just the mechanics of eating better that you’re interested in, although that’s part of it. But you also want to make this become an integral part of your life so that you’re living closer to the values and hopes that you have than you are now. How does that ring with you? I’m just kind of curious what your thoughts are. Chris Kresser: Oh, yeah, I mean, that really hits home. This is so much for me about just living the life that I want to live, really. When you put it that way, that’s really what comes up for me. Chris Kresser: All right, that was very different for me. What was interesting to me is that we didn’t necessarily get to a solution or a resolution, we didn’t come up with a specific plan. But I noticed myself being so much more open to the possibility of change and more hopeful, especially toward the end. And I mean, I was just winging that. I had no agenda or plan, but I noticed that toward the end when I raised the possibility of trying a different kind of diet, there was actually some hope and openness there because of everything that had come before that. I think if I had just jumped right to that before you had heard me and reflected what I had said, I wouldn’t, there wouldn’t have been that same sense of possibility and openness. So I mean the quality of the conversation was very different, as I’m sure all the listeners noticed as well. Ken Kraybill: Well, and what’s important, I think, for all of us to remember is that you and I just had a conversation for maybe 10 minutes. But you are consistently having a conversation with yourself 24 hours, seven days a week, except when you’re sleeping, at some level, about these very same things. And so what I’m really trying to do is seed that conversation so that when you walk away you’re kind of going, “Maybe I should think more about that,” or “Maybe a whole new idea will come to your mind.” And so as practitioners of this approach, we don’t want to be too eager to get to the plan or the solution. And in fact, most people actually generate their own plan on their own time after they’ve processed these things. Now that’s not to say we never want to invite, and had we had more time, I would have probably gotten to the point of saying something like, “So I’m curious, just given what we’ve talked about in this short time, what do you think you might do as a next step that you could do that is possible and doable in the next few days?” Because what builds confidence is the ability to accomplish one step at a time. And so this confidence was low, that’s something I would emphasize. But yeah, I often think of MI as, it’s sort of like if I gave you a seed and said, “Here, grow the seed, Chris,” you couldn’t really do it easily. At least unless you had everything around you that you needed. Chris Kresser: And that’s very often outside of the context of the session itself, right? Ken Kraybill: Right, which is not very gratifying for the coach. They want to see results and they want to document that. But it’s humbling to practice in this way because we can’t be so results-oriented. But what we know from the research and experience is that positive results are much more likely to happen if we use this approach than if we don’t. Chris Kresser: Right. And I want to reflect something else about that conversation. There was a point when I said, “I’m interested in a low-carb diet. Can you help me with that?” And I really liked that you said yes, I could provide you some resources there, but I want to, I noted that you didn’t go into that. There was a choice there where you could’ve said, “Yeah, sure I’ve got these, this binder here with all my low-carb diet plans and suggestions and let’s talk about that.” You acknowledged the question and reflected it, but then you also took the opportunity to bring it back to what my … all of my own motivations for change that I had mentioned earlier. Why did you do that? Chris Kresser: That’s really interesting. I was having a conversation about this with Robert Biswas-Diener, who you may know, and he said something like, we were talking about that the difference between asking for, just telling someone what to do without permission, and then waiting until you’re asked for permission to do it or even yourself as the coach, asking the client if it would be okay if you would offer this advice. And he said something to the effect of sometimes even in situations where you are explicitly asked, or when you ask permission before you give advice, it still can be maybe an obstacle to change, or not as effective to actually answer the question and give bad advice than it would be if the person went and figured it out on their own. Ken Kraybill: Yeah, I agree with that, and it occurs to me too that there are times when we might ask permission, but the person tacitly gives permission for us to give it, but they’re not wholeheartedly giving that agreement. Ken Kraybill: Because of the power differential or the context or whatever. So just the asking itself isn’t the key; it’s the relational aspect of recognizing that each of us has something to provide here, and let’s put it out on the table and take a look at it. Chris Kresser: Which is really, in that case, would just be coming from my agenda or my preconceived notion of what should happen in the session. Ken Kraybill: Yeah, if you go into a session with a preconceived agenda or what needs to get done, then I think it’s best just to be transparent and say “this needs to get done.” You can do it in a nice way, but I think, I always think of MI conversations as improv theater. We have a sense of direction maybe where it’s going that we don’t know what the outcome will be, and then we know there are different pathways that it might take. And that’s really, to me, a more helpful way of thinking about this. I’m not responsible for the outcome ultimately. But I am responsible for creating the conditions under which this person is most likely to at least explore and examine what motivations they have to do something, and then they get to decide. Chris Kresser: One of the key shifts, not just in motivational interviewing, I think, but just in a coaching or ally approach versus an expert approach in general, is that, and you mentioned this earlier, that the responsibility lies for change, or for what’s happening, lies primarily with the client or the person being coached rather than the coach or the person doing the coaching. And can you speak to the shift that happens for you as the coach with that? The sense of relief maybe, or in our initial role-play when you were playing the kind of expert authority, you mentioned that it was really uncomfortable, and maybe you felt a sense of pressure and responsibility. And I’m just curious if you can speak to what changes on your side when you’re not the one who is responsible for the change happening? Ken Kraybill: I think for me the biggest learning point early on was not to learn about MI somewhat and the skills, but to learn to let go of certain expectations or needs or perceived needs. And that letting go is letting go of the result. Thomas Merton has this great quote: “Do not depend on the hope of results.” That works really well for a lot of sports teams that I follow, actually. But it also works in our relationships. That as soon as we put an eye on the result, then we are beginning to enter into coercive behavior by trying to get people to that place. And it can be very subtle, but it’s still, it’s demeaning, and it robs people of their own humanity when we somehow become the controllers in that situation and try to get them somewhere. So for me, and it’s a lifelong learning, is letting go of that need to make things come out the way I want them to, and instead to trust that that person already has existing within them a desire to live a life of wholeness, of integrity, of connection, of meaning, however we want to state that. But we believe that people already have that within, and thus they already have motivation to move in that direction. And it’s often covered up by the muck of everything from addiction to disease to disorder to racism and sexism, and homophobia and all these other things that press down upon people, and poverty and homelessness, or whatever it is. But it’s still there. Chris Kresser: I like that. Ken Kraybill: I think if we can see the possibilities in people … And in my own line of work over time I’ve never had somebody say, come back to say thank you and say, “Oh, wow, thank you for using such great motivational interviewing with me.” No, what they say is things like, “Thank you for seeing in me something I didn’t see for myself at the moment,” or “Thank you for believing in me,” or “Thank you for just listening and being there and helping me see the value of myself.” And these are the kinds of things that get back to that spirit piece. So I think you can use the best techniques in the world. But if you don’t truly, I mean, and none of us do it perfectly, but if we don’t somehow feel a genuine sense of what I like to call kind of a curious compassion or compassionate curiosity maybe, for somebody, and a hope for them, then our words are just kind of empty. And so it is that combination of using our kindness, that compassion, with a skillfulness, and that’s a potent combination when you’re on the receiving end of it. Ken Kraybill: And many of us don’t get that experience very often. Chris Kresser: Yeah. I think there are quite a few people may have never had that experience. I mean it’s not the way most … we’ve been trained either explicitly or implicitly to communicate in any relationships in our life. I mean, I think many people who are listening are probably seeing how this could be applied in so many different contexts in their life, not just in the health and wellness field if you’re a coach or trainer or a doctor, someone who’s working with people, but also as a partner in a relationship, as a parent, as a colleague at work. I mean, there’s so many, there are really no relationships that we have in our life where this stuff can’t be employed. And yet it’s as you said, Ken. It’s a lifelong practice because it’s one thing to let go of your agenda with someone that you hardly know it all. It’s a whole other thing to let go of your agenda if you’re a parent who is having a conversation about change with your child. Or if you’re in a committed relationship and you’re having conversations about change with your partner. So I think this work is deep and powerful, and it has an incredible potential for change and it asks a lot of us as people, individuals, as we develop ourselves throughout our life. Ken Kraybill: Yeah. That’s very well said, and I would just add that I think MI is not for all occasions. And sometimes we talk about MI or kind of freestyles, one being kind of a guiding style, which is really where MI is at its best. But sometimes we take more of a following style, and particularly, for instance, if we’re talking with people who are grieving or have suffered a loss. I mean, we’re not trying to look for change there; we’re just trying to be in solidarity with them. So sometimes that’s where we are with people. And then there are other times where we’re more directive. And of course that’s … I like to say when the blood is flowing, when there’s an emergency, when you are compelled to take action ethically, for example. Like, for the most part we operate in that realm of the guiding piece, and there are a lot of people in crisis maybe, but not in emergency crisis. And we have to kind of sit with that sometimes because it’s not for us to work out. Now we certainly provide resources and information and good listening. But yeah. Chris Kresser: Well, Ken, I’ve really enjoyed this conversation. Where can people find out more about your work and what you’re up to these days? Ken Kraybill: Yeah, my organization I work for is called The Center for Social Innovation. It’s outside of Boston. There are actually several centers for social innovation. So if you Google it, you will come up on it in the third or fourth or fifth name down the list. But I particularly do most of my work through t3, which is a training institute contained under the umbrella of the center. And t3 stands for “think, teach, transform,” which we think is a clever little moniker. But what we do is fee-for-service training for organizations, for cities and counties, for statewide organizations, promoting best practices in working with people, particularly people who are vulnerable or marginalized in our society. And so a lot of work, of course, around addictions and mental illness and people living in deep poverty. We look at a racial, social, and racial equity lens through everything we do. But what we’re doing is trying to equip the workforce, whoever that might be, in practicing in a more person-centered, patient-centered way. I have this little mantra that I often say that speaks to kind of the different aspects of our training. And it’s that we want to be person centered, housing focused for people who don’t have stable housing; trauma informed; we want to be recovery oriented; peer integrated, meaning including people actively who are people with live experience; and also self compassionate.” We need to take care of ourselves in all of this. And that’s kind of the gist, if you will, of how I spend my time these days, both online and in on-site training. And that’s very gratifying. I enjoy it. Chris Kresser: Fantastic. And we are very fortunate that Ken is going to be creating and delivering the motivational interviewing content for the ADAPT Health Coach Training Program launching in just a couple weeks in June. So if you’d like to learn more about that and the other core coaching skills that we’re going to be covering in the training, including coaching to strengths and positive psychology and understanding the stages of change, building trust and rapport, all of what I believe are the skills that will make the biggest difference in your ability to be a change agent, you can check that out at Kresser.co, not dot “com,” but dot “co” slash coach. Kresser.co/coach. Ken, thank you again so much for this enlightening conversation about change, and I look forward to working with you in the ADAPT Health Coach Training Program. Ken Kraybill: Thank you so much, my pleasure.